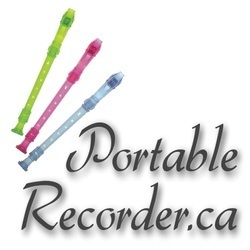 This site contains sheet music, audio files, animations and video tutorials I created to help students learn to play the recorder. Please link to this site if you post any of these files in your own site. NOTE: All of the songs on this site can be saved and printed out for free. It is not necessary to buy a monthly membership from Scribd. You can also download audio links. On a PC, right click on a song link (i.e. Melody and backing track) and select "Save As".